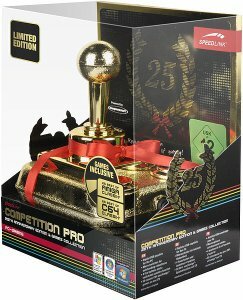 The Competition Pro 25th Anniversary Edition is a special Golden edition of the legendary classic joystick, finished with an exclusive, stylish gold lustre. 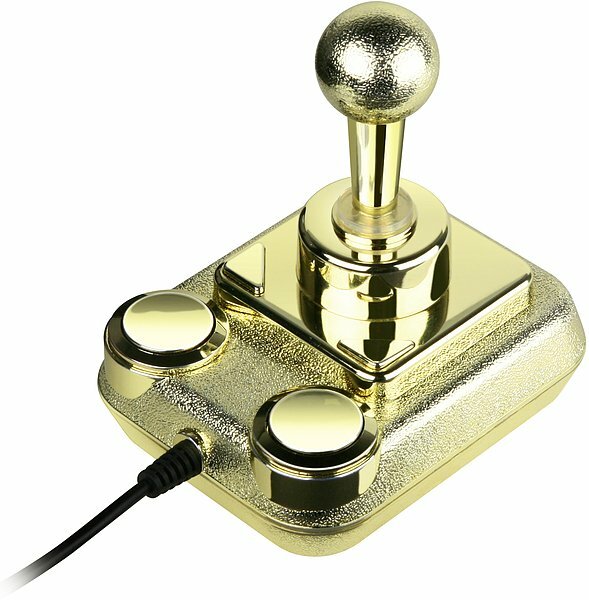 Each of these limited edition joysticks includes a certificate bearing its unique serial number, identifying the joystick as a real collectors' item for gaming enthusiasts. The accompanying CD-ROM includes 50 original C64 and Amiga games from the Golden Age of Home Computing that will revive the 80s on your Mac or Windows PC.